*Choose low FODMAP fruits such as strawberries, raspberries, blueberries, grapes, banana, kiwi fruit or pineapple. Check the app for suitable 'green' serving size information. 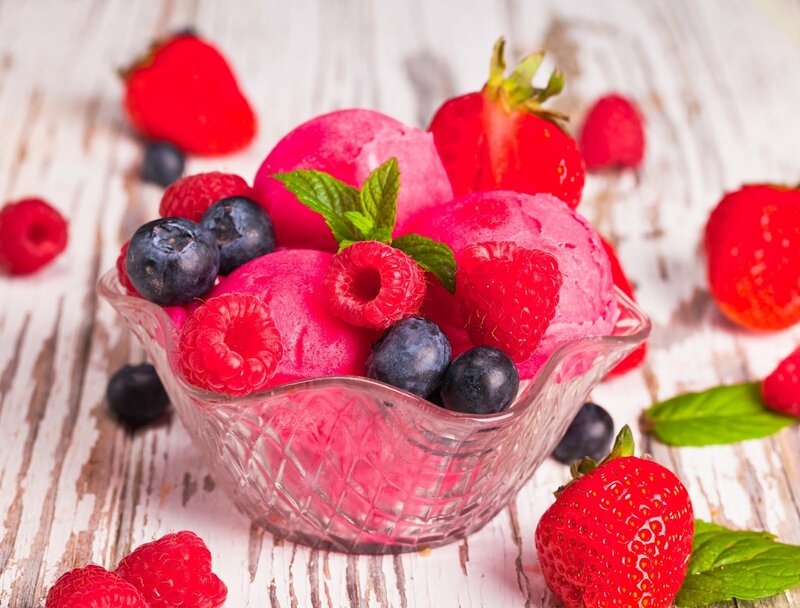 This frozen yoghurt can be made in advance and kept in the freezer in an airtight container. Let container stand to allow mixture to soften before serving. Top frozen yoghurt with low FODMAP fruit, nuts, chia seeds, desiccated coconut, fresh mint leaves etc. to serve.